Professional coil pasteurisers for preserving your fruit juice or milk. 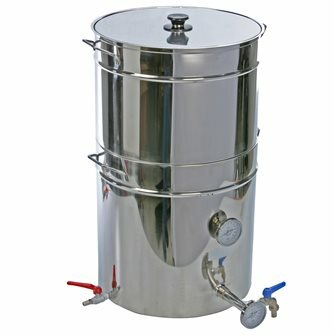 Pasteuriser models that can be placed on a stove and gas models. 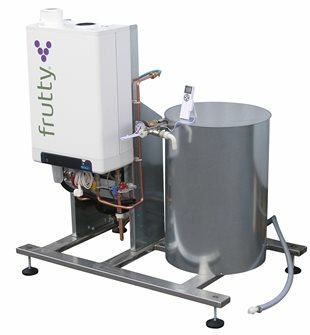 Full coil pasteuriser with vats and thermometers, up to 100 litres per hour. Diam. 45 cm, height 70 cm. Stainless steel coil for sterilising and bottling your juice in a single operation. Gas juice pasteuriser 250 litres per hour. 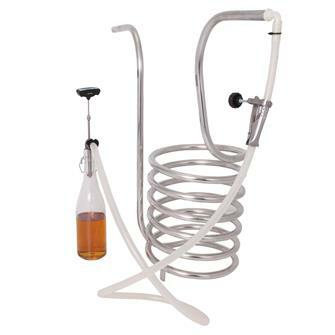 Spiral juice pasteuriser - up to 250 litres per hour.